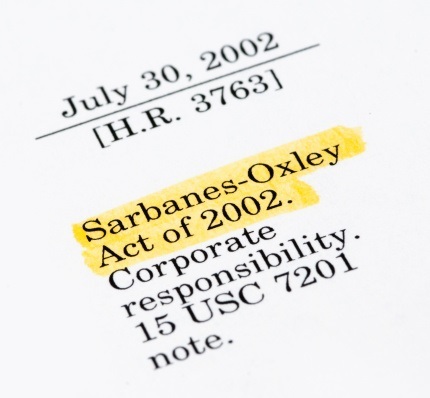 The Sarbanes-Oxley Act of 2002 – perhaps the most pervasive legislation impacting financial reporting and auditing since the securities acts of 1933 and 1934 – will celebrate its 15th anniversary on July 30. Also known as Sarbox or SOX, the law has been both praised and criticized. Investor advocates mostly praise the law for improving corporate reporting, a key goal of the act, borne of the fallout from the spectacular implosions of Enron, WorldCom, and other companies in the years immediately preceding the legislation. In contrast, some sectors, such as biotech, continue to criticize the act for, in their view, being the poster child of overregulation that triggered the downturn in IPOs. Critics also say Sarbox and other forms of alleged overregulation have hurt investors, the market, and the public by forcing more resources to be allocated to compliance vs. research and development, economic growth, and jobs. With such diverse views on the perceived plusses and minuses of Sarbanes-Oxley, how should one celebrate the law that brought you management and auditor assertions on internal control over financial reporting, the creation of the Public Company Accounting Oversight Board, and more? When it comes to celebrating Sarbox, there’s no need to fret over what to get; there’s something for everyone. According to Hallmark, the “traditional” and “modern” 15th anniversary gifts include crystal and watches. Those who still stand in strong support of Sarbox — such as the Center for Audit Quality, the Council of Institutional Investors, and the CFA Institute, co-authors of, Sarbanes-Oxley: Don’t Mess with Success — can celebrate with something made of crystal, in homage to the law’s contributions to corporate transparency and accountability. Those who believe that diluting Sarbox can be an effective action in today’s regulatory environment can celebrate by wearing timepieces reflecting the need to “watch out” and “watch what happens” by continually re-evaluating the actual costs and benefits of the regulations that grew under Sarbanes-Oxley’s umbrella and taking sensible action to fine-tune the system. See, for example, highlights from a recent Congressional hearing on Sarbox in Sarbanes-Oxley is shutting out average investors from the early-growth stages of the next Cisco and Starbucks. Even if some changes are made around the edges of the act, such as widening the exclusions for smaller public companies and emerging growth companies, it seems unlikely that we’d see wholesale changes to the act, which appears to have more supporters than foes. Ten years ago, on the fifth anniversary of the act, Sen. Paul Sarbanes (D-Md.) and Rep. Michael Oxley (R-Ohio) were quoted in a USA Today article. It’s not quite Dean Martin and Jerry Lewis, but this summer, on the five-year anniversary of their namesake law, the two men have teamed up for a mini road show. At a conference hosted by the Association of Certified Fraud Examiners in Orlando this month, the pair discussed the origins of the legislation. “Some people think Paul and I were having a beer one night and decided to foist this on the public,” says Oxley. He said the House Financial Services Committee, which he chaired, spent the spring of 2002 trying to construct a law that would restore confidence in a marketplace shaken by revelations of fraud at Enron. Sarbanes retired from the Senate in 2007. Oxley retired from the Congress in 2007; he passed away in 2016.